Democratic party represents intolerance, hatred, and destruction either in property or of a person. On August 4 more than 150 people filled the First Baptist Church of Roselawn in opposition of plans for an Immigration and Customs Enforcement (ICE) detention center in Newton County. 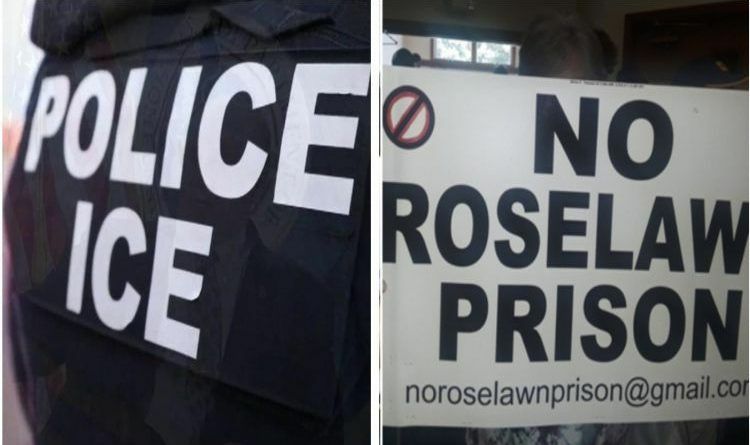 The meeting was organized by the group No Roselawn Prison, led by Ryan Farrar, Democratic candidate for state Senate District 6, and his father Nick Farrar, who is running for Newton County Commissioners District 2. However, officials denied that there are plans for the facility at this time. Chicago Post Tribune reported that county officials denied a zoning change in July that would have allowed a prison to develop. However, officials overruled the zoning decision, allowing the land to be used by a government agency. But, even though officials denied that the facility will be used by ICE, protesters still continue to demonstrate. The lack of intelligence is getting really sad. Who ever organized and paid these dopes to go and protest there got the location wrong. This is yet another proof that they are just being lead around by the noses. Professional protesters go where they are told to go by the actual organizers via a network of “community activists”. They don’t even bother to research the cause to see if it was legitimate or not. It is all about the resistance and they just go to where ever the text message tells them to go. I guess it was easy money though. ← Peter Strzok Begs For $150,000 on GoFundMe After Getting Fired!